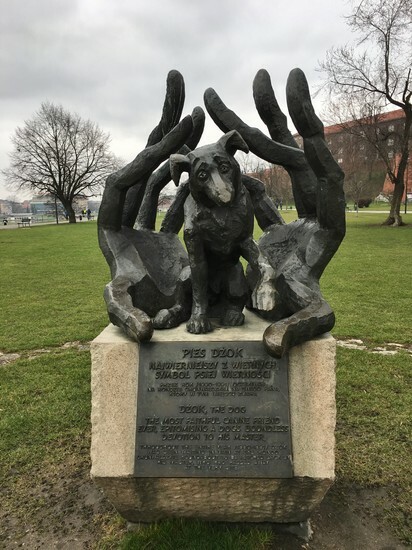 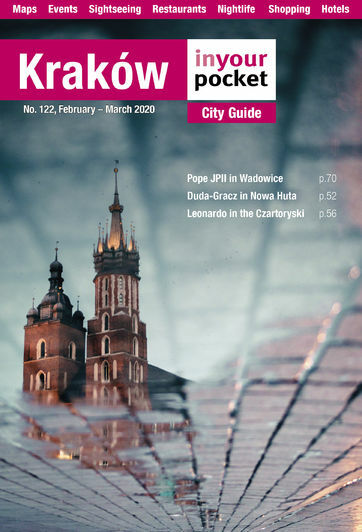 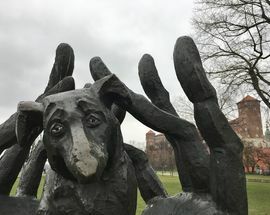 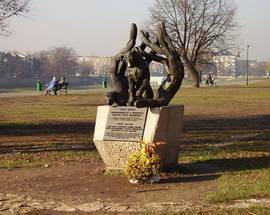 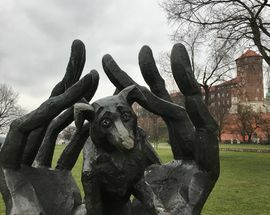 One of Kraków's most random monuments is that of Dżok (Jock) - no doubt a happy pup until one day when he was left tragically orphaned in 1990 after his owner had a heart attack in his car on the city’s busy Grunwald Roundabout. 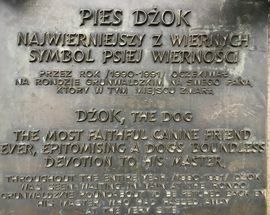 Left behind when his master was taken away in an ambulance, Dżok waited patiently for his friend to return for a year before finally going to live with a lady who used to come and feed him. 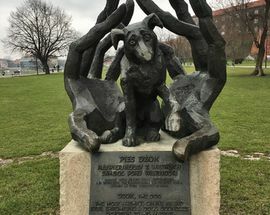 After this kind lady also died in 1998 poor Dżok was orphaned again and taken to a local dog hostel, from where he escaped on his second day of captivity and was swiftly run over by a train. 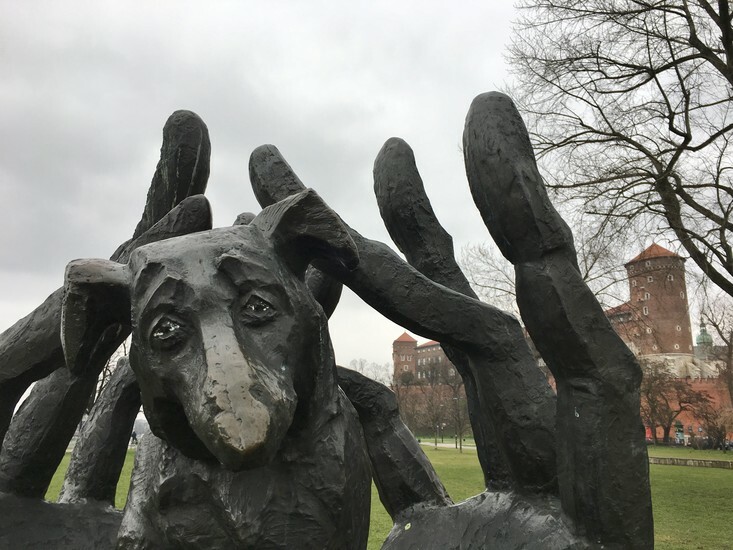 Not the happiest story the world has heard, you’ll agree. 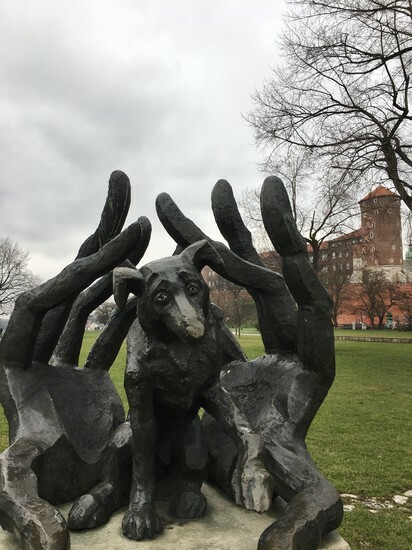 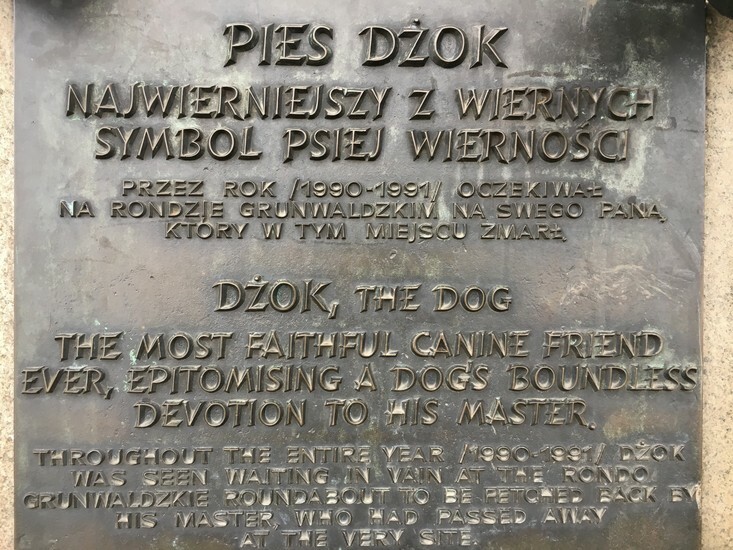 Nonetheless, in 2001 a sculpture of Dżok was unveiled only a short walk from Wawel at Bulwar Czerwieński close to where his original master passed away, with an inscription reading "Most faithful canine friend ever, and symbol of a dog’s boundless devotion to his master." 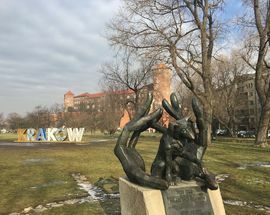 The work of sculptor Bronisław Chromy (the same man to blame for the Wawel Dragon), a collection box in the back is for helping fellow orphaned animals.